Here you can discover what Cambridgeshire was like around 120,000 years ago. The remains of giant deer, hippopotamus, mammoths, elephants, lions, hyenas, bears and ox - all from the area around Cambridge - tell us that this part of East Anglia was once very different to the landscape we know today. 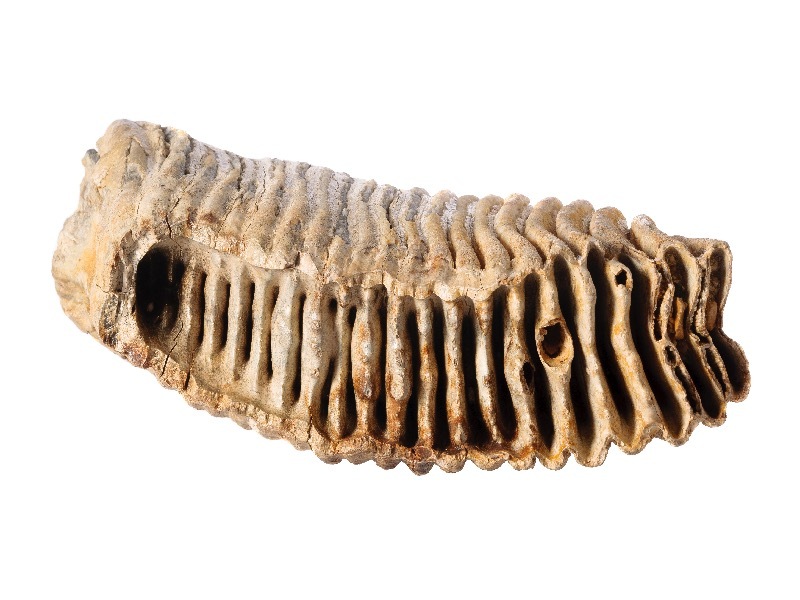 Many of the fossils on display were found in the chalk pits around Barrington, Cambridgeshire. The discovery of these animals suggest that East Anglia was once much warmer, like the grasslands of Africa today. The mammoths were a group of extinct elephant relatives, which evolved in Early Pliocene times and died out in Holocene times, a mere 4,500 years ago. They became widespread across Africa, Europe, Asia, North America and survived the ice ages with cold adapted species such as the woolly mammoth, Mammuthus primigenius. Their massive ridged teeth were adapted for eating tough grasses, which grew over the extensive cold steppes, during the ice ages. They died out as climates changed and the steppe grasslands were invaded by trees. 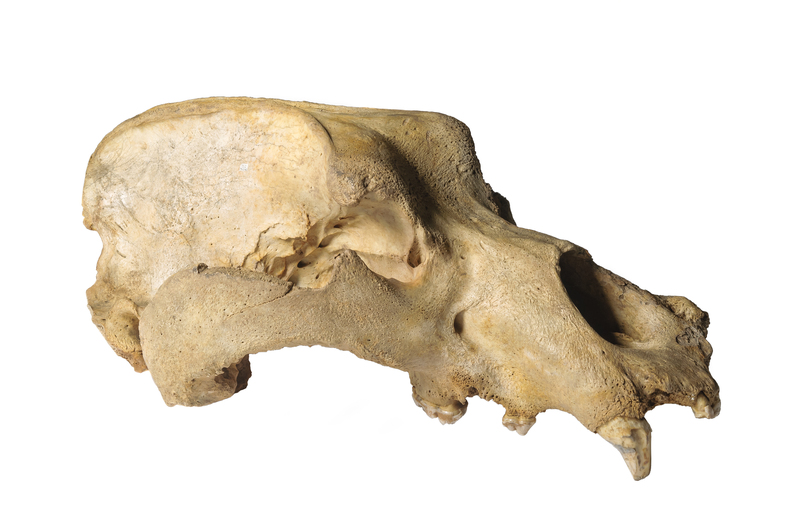 One of the most impressive animals of Ice Age Europe was the cave bear (Ursus spelaeus), which had a very broad and high domed skull and grew as big as the largest living bears. However, they were predominantly plant eaters and had to hibernate during winter when much of their plant food was unavailable. Their connection with caves was purely a result of their hibernation habits. Some 140 cave bear skeletons have been recovered from a single cave in Romania, showing that they used the same caves over many years and that mortality during hibernation was high.